A perfect example of the concept of “similar differences” during the cultural exchange came when the Korean students taught and shared two of their traditional games with their American peers. One was called Jae Gi and is similar to hacky sack but features a weighted metallic tassel “birdie” vs. a leather sack. The other game, Gong Gi, is very similar to playing “jacks” in the United States. 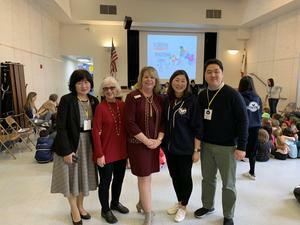 El Segundo’s Richmond Street School Principal Dr. Alice Lee, who is Korean American, conceived the idea last year when she traveled to Seoul, Korea with her family. 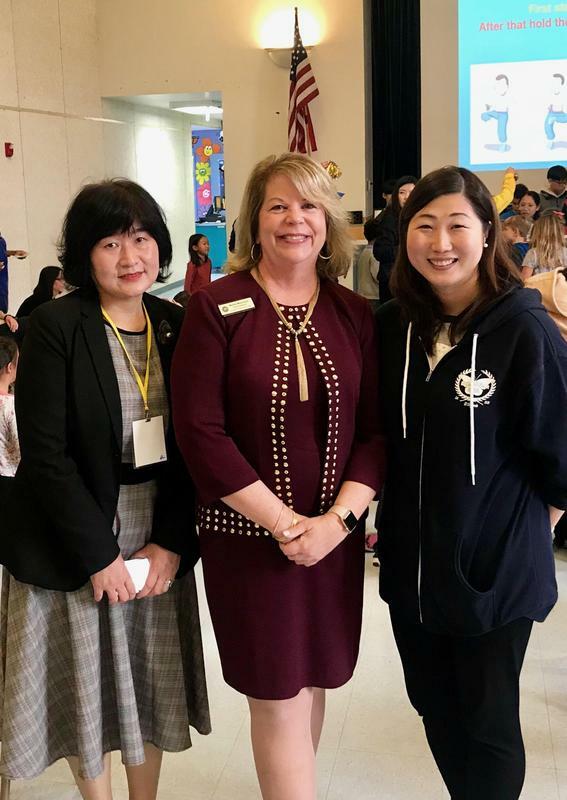 While there, she had an opportunity to visit Cheongwon Elementary School with a mentor, Dr. Suzie Oh, a former principal and current Korean educational consultant in California. 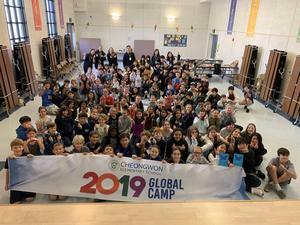 The collaboration among educators from the two countries was meant to afford the students from both schools an opportunity to participate in short-term exchange programs that expand student access to different cultures. It also provided opportunities for teachers and administration to experience and gain greater understanding of pedagogical similarities and differences between the educational programs in South Korea and the United States. 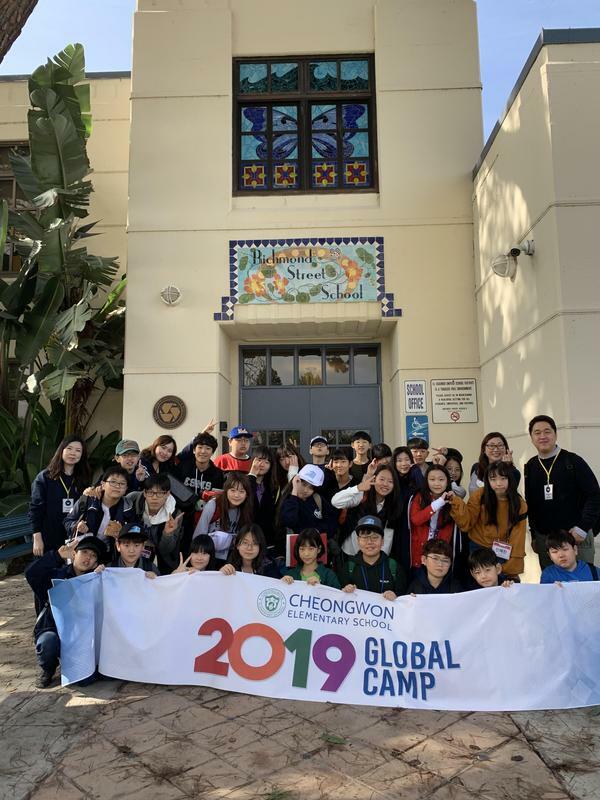 The Korean students attended the regular classroom schedule for 5thgrade at Richmond Street School and 6thgrade at El Segundo Middle School. 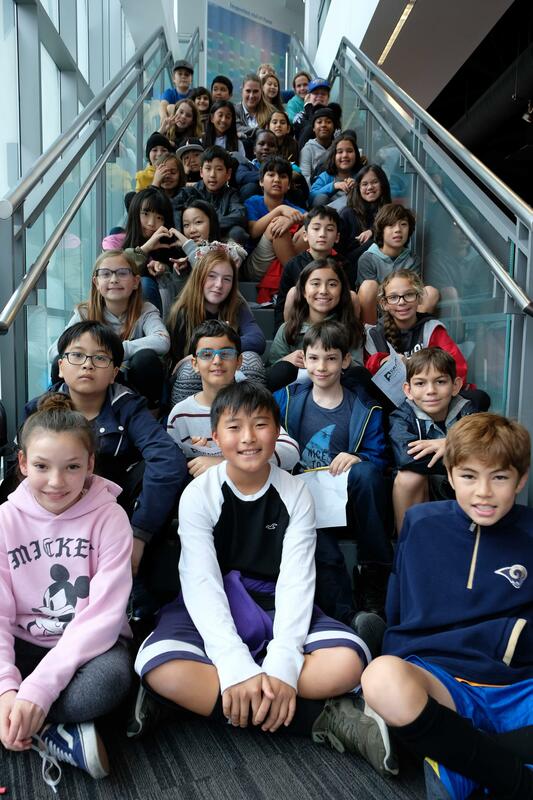 In addition, their itinerary included other experiences such as touring the University of California, Los Angeles, visiting the Grammy Museum, eating hamburgers at In-N-Out, attending a performance of the Young Americans, having a pizza and ice cream party, and touring El Segundo High School where they cheered at a pep rally and watched a soccer match. The children of today will be the global citizens of tomorrow. ESUSD believes educational exchanges such as this one will directly contribute to students’ success as they navigate the future.